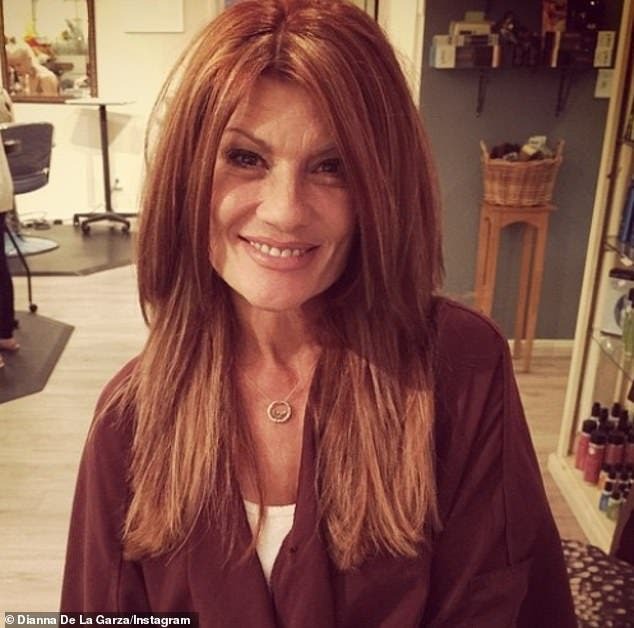 Demi Lovato's mother Dianna De La Garza has broken her silence for the first time since the singer's horror overdose. It was revealed in late July that Demi suffered her near-fatal overdose after smoking Oxycodone possibly laced with fentanyl. Speaking to Newsmax TV, her mother said: 'We just didn’t know for two days if she was going to make it or not. I was very concerned, and I was trying to be strong for her and for her sisters and for my family back home'. Demi was said to have been revived with Narcan before being rush to hospital, where she remained for two weeks as she recovered. Hot on the heels of her hospitalisation and subsequent release, Demi cancelled her tour and entered a rehabilitation centre in Chicago in a bid to seek further treatment. The former Disney channel star 'will be in rehab for several months and is doing an extensive program to ensure she gets the help she needs', according to E News. Demi 'hasn't been in communication with anyone and is really focusing on herself,' added the source. 'Even her ex-boyfriend Wilmer Valderrama will have limited contact, with the source explaining: 'Wilmer has been in touch with the family and has been checking in on Demi's status. The pop star was forced to scrap her remaining shows in Mexico and South America as she will be 'in treatment for a lengthy period of time' according to TMZ. Demi was scheduled for performances on September 20 and 22 in Mexico. She also called off a six-city tour in Chile, Argentina and Brazil, slated for November. Live Nation and Lotus Productions 'wish Demi Lovato the best now and in the future and we hope to see her soon in South America'. This comes after it was revealed that an arrest warrant has reportedly been issued for the singer's drug dealer. According to TMZ, Brandon Johnson is a wanted man by the L.A. County D.A. 's Office for his June arrest for cocaine possession and DUI after failing to turn up to his arraignment on Monday. The publication revealed last month that Johnson will not be investigated for supplying Lovato, 26, with the pills that allegedly caused her near-fatal overdose. No stranger to the law, Brandon was reportedly arrested in June for possession of cocaine, as well as driving under the influence of alcohol. And after failing to turn up to his arraignment at the start of the week, the judge has now asked for him to face the consequences, thus issuing a warrant for his arrest. 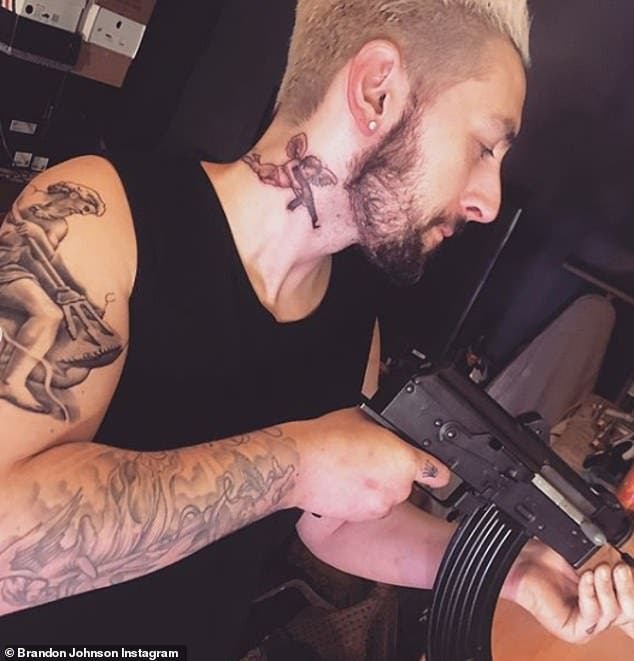 As well as his June arrest, Brandon was also arrested back in March, after he was discovered with narcotic substances, $10,000 worth of cash and even a loaded handgun on his person. While he is set to face the music for his prior alleged criminal activities, Brandon will not be charged with Demi's shock overdose, despite openly admitting he supplied her with the 'after market pills' on the evening of her OD. TMZ reported that Brandon will not be investigated due to an overdose being categorised as a medical emergency, and a self-induced one. The Skyscraper hitmaker had contacted Brandon via text message in the early hours of July 24 to join her at her Hollywood Hills house, after she attended a party at popular Sunset Strip bar Saddle Ranch. It was reported that the pair smoked painkiller Oxycodone 'on tin foil' at her home and, unbeknown to the star, the batch was likely laced with particularly potent fentanyl as the dealer had a 'bad habit of buying [tainted] drugs from Mexico'. The dealer, who Demi is said to have been using the services of since April, allegedly fled the star's house after noticing that she was breathing heavily in bed — leaving her staff to discover her at 11:30 AM. Meanwhile, Brandon claimed Demi knew what she was ingesting and the risks she was taking on the night she overdosed. Brandon alleged that the embattled star text him at 4am to ask he come over, which he took as a request to bring narcotics leading to his claims that they then smoked - also known as 'freebasing - drugs together. He is said to have got pills from Mexico, which were reportedly laced with fentanyl which is described as 'is an opioid used as a pain medication and together with other medications for anesthesia'. He claims to have left at 7-8am. Among the astoundingly bold allegations, he insinuated the two of them did drugs together many times before and even had a 'sexual relationship'. 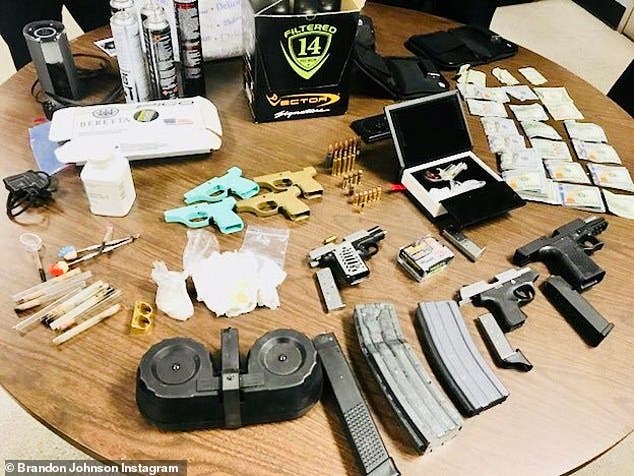 Following up with a raid of his Hollywood home, the police later found an even larger stash of drugs and weapons - although it is not known if he was ever charged.